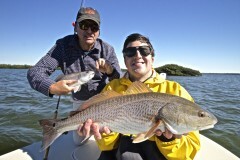 Dr. Collins from Winston Salem NC enjoyed some days on the flats catching Snapper, Snook and just missing some tailing Redfish on the grass flats. The weather was a bit windy but we still made the best out of the days we were out. 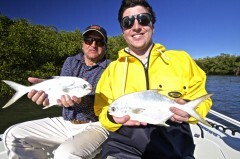 Mike Gigliotti from New York and his father in law, Dan McConlogue from Fort Myers had a great day fishing mangroves, oyster beds and the grass flats using lures and live shrimp. 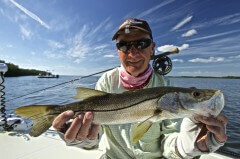 Redfish, Snook, Snapper and Pompano were fooled by the masters.